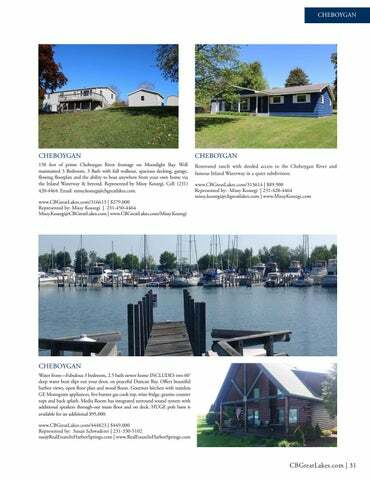 150 feet of prime Cheboygan River frontage on Moonlight Bay. Well maintained 3 Bedroom, 3 Bath with full walkout, spacious decking, garage, flowing floorplan and the ability to boat anywhere from your own home via the Inland Waterway & beyond. Represented by Missy Koszegi. Cell: (231) 420-4464. Email: missy.koszegi@cbgreatlakes.com. Renovated ranch with deeded access to the Cheboygan River and famous Inland Waterway in a quiet subdivision.